A photocopier is an essential piece of office equipment for document management. As well as fast copying and scanning, photocopiers are multi-function as standard and produce professional print outs of documents and images. Photocopiers can handle automated high volume printing projects at speed and allow you to reduce manual work. Global Office Machines is a licensed Samsung copier seller, and offers a range of both monochrome and colour photocopiers for sale that provide you with customised document workflow solutions to increase the efficiency of your business operations. 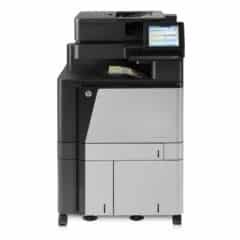 We have the latest Samsung photocopiers available to buy, whether you are looking at investing in Samsung MultiXpress or ProXpress machine, or a copier from the popular SMART MX4 Series. 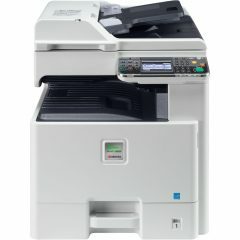 We also sell great value refurbished photocopiers and if you are after a particular model that you don’t see the selection below then get in touch on 1300 882 852 and we will source it for you. The copiers we sell come with a fax kit, 2 bin stapler and a 3 draw paper tray as an added extra. Browse our range of new Samsung copiers for sale below and let us advise you on which copier to buy to best serve your business.